Though only one natural disaster has managed to land a band on the top of the Billboard charts, the guys from Bastille might be saddened (or maybe happy?) to know that Pompeii doesn’t rate anywhere near the top worst natural disasters of all time. Sure, it makes for some catchy song lyrics, but it terms of major world catastrophes, it’s barely a blip. But which disasters were the worst? While death toll numbers throughout history can't always be verified (and don't tell the whole story), these 10 events tragically ended and altered lives in ways no other natural catastrophes have. You don’t hear much about the Dead Sea fault line these days, probably because that region has a lot of non-tectonic problems to worry about. 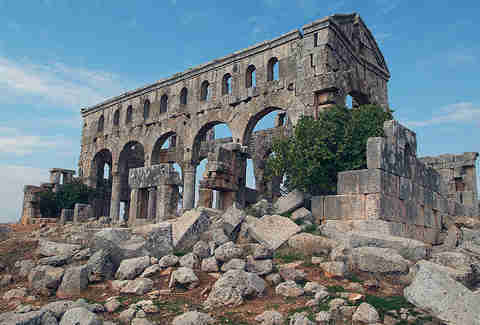 But in 1138, it shook itself up, destroyed the city of Aleppo in northern Syria, and kicked off almost A YEAR of seismic activity in the region. Most small towns and military installations were destroyed, and an estimated 230,000 people were killed. Probably the only event on the list that most of us remember, this tragedy is especially notable because it didn't come in a period of mud huts and straw roofs, rather in a time of advanced architectural technology. What began on December 26 as a 9.3-magnitude underwater earthquake off Indonesia, became a fierce tsunami that raced toward the coasts of 11 different countries. Not only were 225,000 people killed, but over one million were left homeless, making this the deadliest tsunami in history. People like to talk about disasters of Biblical proportions, but this one actually occurred during biblical times, or at least close enough -- it's the only noted large-scale disaster to hit during the first millennium. 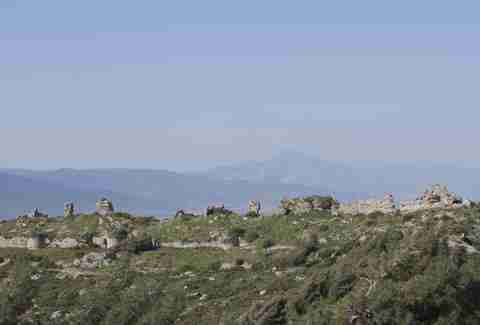 While population centers weren’t as dense in those days, this 7.0-magnitude quake -- which hit sometime between May 20-29 -- was estimated to have killed approximately 250,000 people in Antioch and Syria. The ensuing fires destroyed the few buildings that remained and relief efforts were hampered by a year-and-a-half of aftershocks. This earthquake, which hit 7.8 on the Richter Scale, leveled every building in not one, but two cities, and opened up over 100mi of fault line. 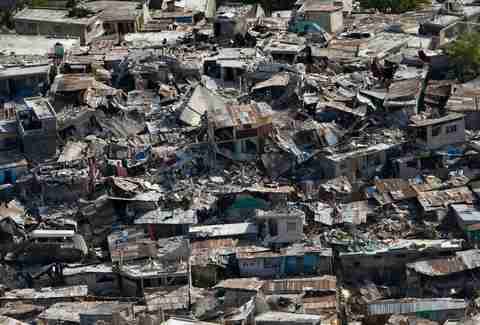 The greatest damage, however, was done by the landslides that followed, which buried entire cities and slowed relief efforts. All in all, this quake has been blamed for between 230,000-273,000 deaths, making it the second-deadliest of the 20th century. 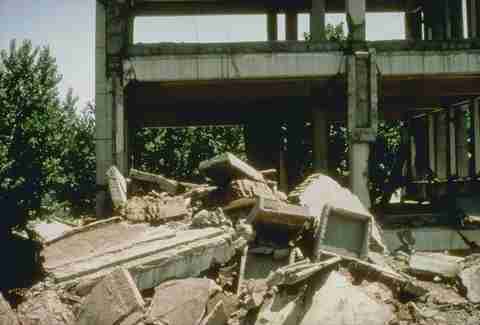 It was later renamed the Haiyuan Earthquake after the Chinese county where it hit the hardest, killing nearly 60% of the population. This one actually is the deadliest earthquake of the 20th century, and proved once again that what makes earthquakes so lethal isn't always the force itself, but the infrastructure of the area it hits. The 7.8-magnitude event struck during the middle of the night on July 28, and leveled 92 percent of the residential buildings in this city of over a million. Food, water, and other resources became scarce as survivors worked to rescue people from under the rubble, but with all but one road destroyed -- and train rails bent and bridges collapsed -- help was long to come. Nearly a quarter of a million people died either during the quake or in the days following, some from starvation, some from dehydration, and still others from the disease that descended as already-buried bodies became exposed when rain washed away the dirt. In the late-18th and early-19th century, Coringa was a major Indian port city at the mouth of the Godavari River. That was, until the night of November 25, 1839, when a cyclone brought a 40ft storm swell down on the city; it destroyed 20,000 ships and killed nearly 300,000 people, many of whom were washed out to sea. Coringa was never able to rebuild and what was once a bustling port is now just a small village. Poor Bangladesh. This sea-level (and occasionally below) nation on the Bay of Bengal seems to perpetually get pelted with natural disasters, but none was more devastating than the storm that hit on November 11, 1970. 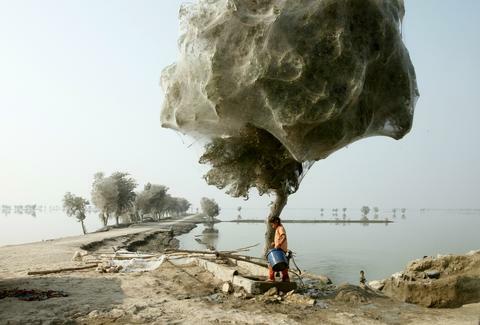 With surges that stretched up to 30ft, this cyclone pounded the Ganges River Delta with 140mph winds and wreaked havoc thanks to a higher-than-average tide. Because of the region's extreme poverty (and lack of effective early-warning systems/communication) nobody was able to warn the coastal-dwelling population, and the result was nearly half a million deaths. 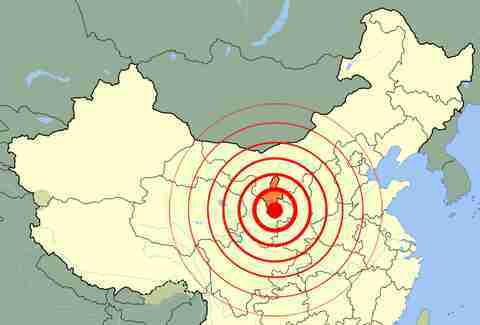 Even though they didn’t have fancy things like Richter Scales and official death tolls in 16th-century China, historians have estimated that this quake -- which hit on the evening of January 28 -- rated around an 8.0-8.5. Which isn’t even close to the strongest ever, but because it struck a heavily-populated area at a time before earthquake-building codes, the destruction was massive. Sixty-foot deep canyons appeared instantly and swallowed up some of the over 800,000 people who died in the disaster. And Huaxian, a city near the epicenter, lost every single building and half its population. The Yellow River, which runs over 3,000mi though the world’s most populated country, has accounted for more flooding deaths than every other river in the world combined. But no flood was deadlier than that of 1887. 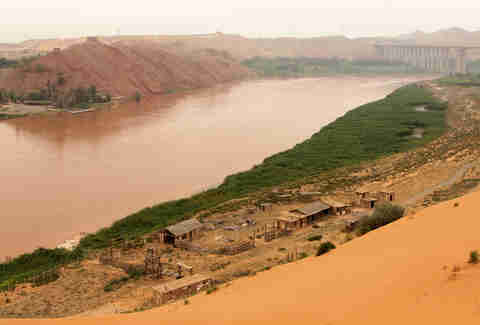 Due to how much silt it accumulates, the riverbed often rises well past the level of the dikes built by local farmers. And in 1887, that rising riverbed combined with torrential rains to break the dikes near the city of Zhengchou. 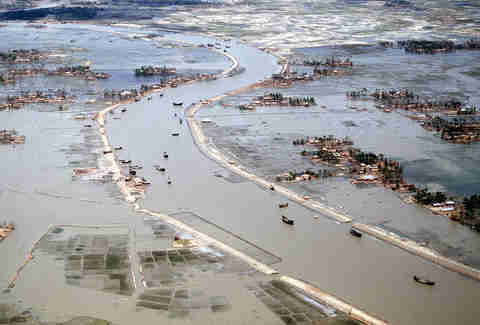 Water rapidly flooded over 50,000sqmi of low-lying plains, leaving two million homeless and eventually leading to an estimated 1-2 million deaths. 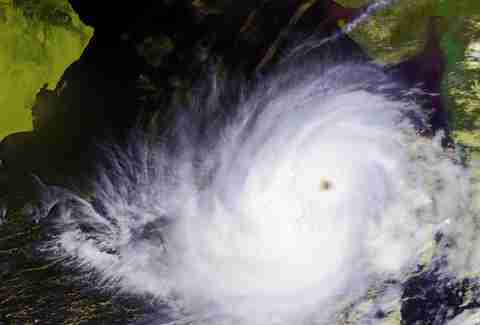 To top the list of worst natural disasters of all time, you can’t just wreak havoc in one fell swoop. You’ve gotta stick around for a while. 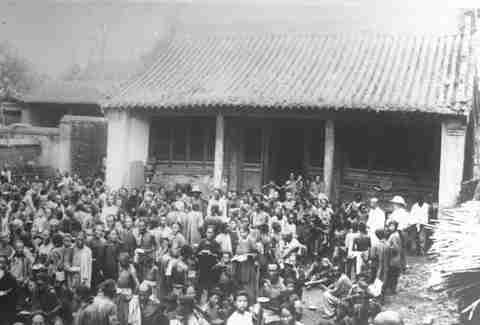 And the Yangtze River floods did just that, starting with torrential rains in April 1931 and continuing into JULY. They covered 500sqmi with water, drove over a half a million people from their homes, and destroyed the rice paddies that helped feed one of the most populated areas in the world, causing widespread famine for months afterward. Dysentery and other diseases in the water killed thousands more, and while there’s no official death toll, estimates range from 2-3 million.